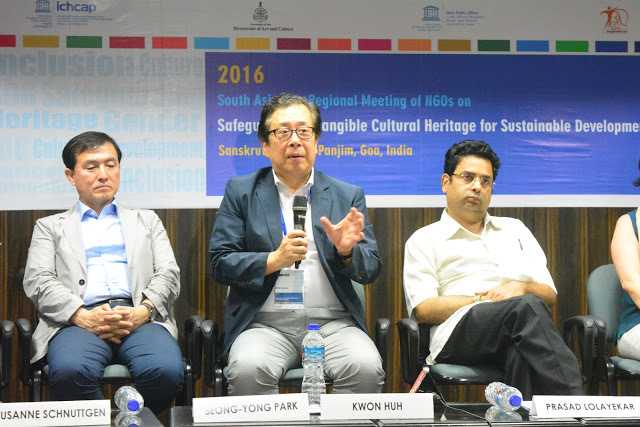 ICHCAP, UNESCO New Delhi and the State Government of Goa and Contact Base (banglanatak dot com) organized the 2016 South Asia Sub-Regional Meeting of NGOs on Safeguarding Intangible Cultural Heritage (ICH) for Sustainable development in Panjim, Goa between August 25-27, 2016. Representatives from 30 non government organizations from India, Bangladesh, Bhutan, Maldives, Nepal and Sri Lanka got together for the Sub Regional Meeting of NGOs. 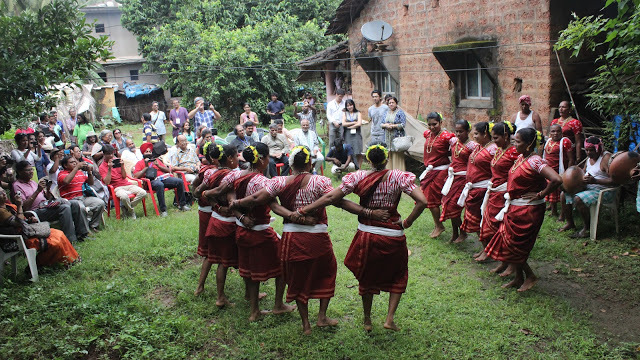 The meeting used the new UN Agenda 2030 for Sustainable Development Goals (SDG) and the new chapter of Operational Directives on Sustainable Development of the UNESCO 2003 Convention for Safeguarding Intangible Cultural Heritage as the backdrop to guide the discussions and deliberations. 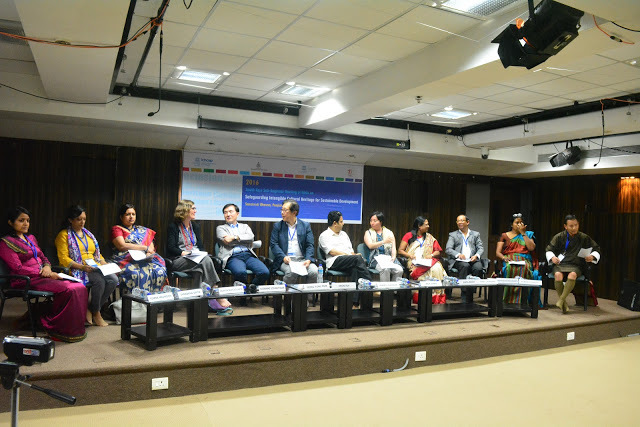 Participants discussed modalities of future networking among the NGOs in South-Asia for exchange of experiences, collecting good practices of safeguarding ICH improving SDGs and documenting impact of ICH safeguarding on sustainable development. b) ICH and building peace. The NGOs appreciated the opportunity for dialogue and pointed out the need for a platform for systematic collection of evidence on the role of ICH in fostering sustainable development.